Order your Blizzard Snake Eyes Mini Effect Light from AMS and enjoy 0% Interest Payment Plans, Free Shipping, Free Extended Warranty & 45 Day Money Back Guarantee. 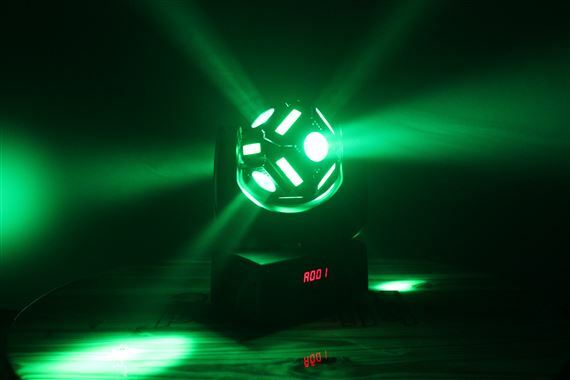 Aerial effects from Snake Eyes Mini moving head fixtures are crisp and bright from any or all directions and never-ending infinite tilt. And just like the larger Snake Eyes fixtures, this little guy still offers a "wow factor" that is off the charts! 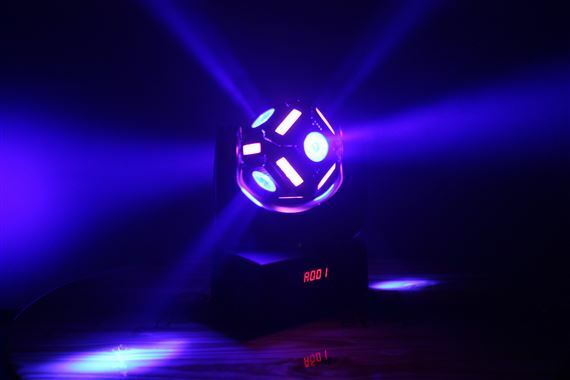 SNAKE EYES MINI is a moving head with 6* CREE 10-watt RGBW LEDs, each with a 9° beam angle. 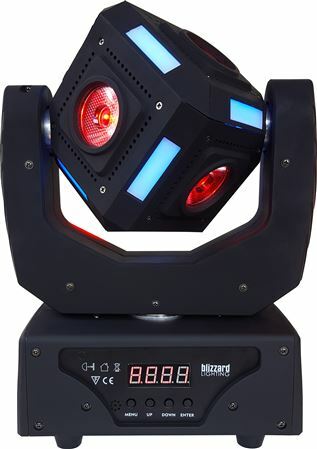 Its 630° pan and infinite tilt can make a stage full of colored beams with ease, along with its eye-catching 12* RGB LED strips (found on the cube head edges) that can run automatically. 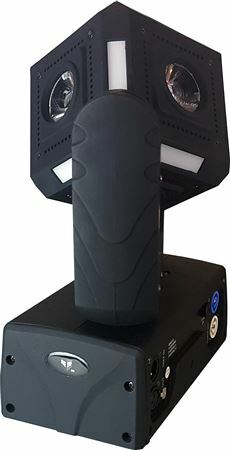 Features include a 4-button LED control panel, PowerCON compatible power input, 3-pin DMX in/out connections, and smooth 3-phase motors. 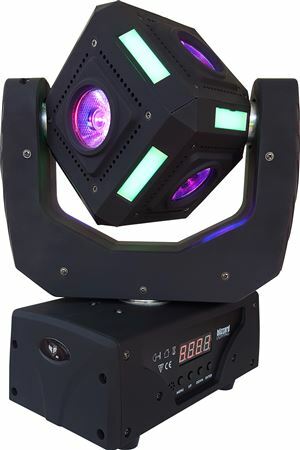 Meet the fun sized version of our larger Snake Eyes moving head fixture, loaded with 6x CREE® 10W RGBW LEDs, each with a 9° beam angle. A bonus of 12x RGB strips beautifully highlight each edge of the head and can perform color chases in auto mode or be controlled via DMX with a separate dedicated strip chase speed control channel. Warranty: 2-year limited warranty, does not cover malfunction caused by damage to LEDs. One of the best lights I have purchased. I bought two, and they are worth it! Best built lights I have every had!